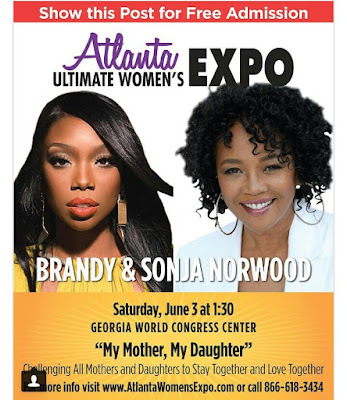 Brandy looses consciousness on a Delta Airline flight as she was heading to Atlanta to attend a concert called the Atlanta Ultimate Women's Expo Saturday with the theme "My Mother, My Daughter holding tomorrow. She was hospitalized immediately but later got conscious and was taken home. The talented singer released a statement later in the day on twitter, stating she was very exhausted due to many activity currently going on in her life. "She has been traveling extensively as part of an ongoing tour and several personal appearances. In recent days, she has taken more than 10 long haul flights including internationally. She was in the studio all night last night until it was time for her to leave the airport to catch a 5:45 a.m. flight." "The stress of all the traveling and working so incessantly has exhausted her," the statement continued. "She will be relaxing for the next few days." The concert was to be hosted by her and alongside her mother Sonja Norwood, however the programmed is still going to be holding tomorrow.